Apologies for the unexpected hiatus! Unfortunately, deadlines are deadlines and then I was struck down by an ever so fun stomach bug. Either way, I'm back with the books I read in August. The month was full of paranormal books for me. That wasn't even my intent but that's the thing I love about these round-ups, I start to see trends in my reading! Kitty Norville continually finds herself in trouble, this time with the military and a wizard. I liked the military aspect, it was nice to see aspects of the military that aren't often dealt with; PTSD, the return home, dealing with no longer being in a war zone. As well as the werwolf side; how would werewolves be dealt with in the army and have they been utilised in this way before? I wasn't a huge fan of the wizard angle. It felt so shoved in, like the military storyline wasn't enough so this could add a little extra drama. I wanted more of Vaughn exploring the military side! It's so obvious she cares about it that I would've loved more depth. I liked the book well enough anyway, this series continues to be super fun. After the passage of time, this professor explained, ancient languages became the language of magic, the meanings forgotten but the power of them remembered. If anyone has ever seen the movie As Above, So Below then you might understand the creeped out feeling I get about underground tunnels. The catacombs are terrifying. And so are the underground tunnels in this book too. It was a good, if a little spooky, read though. These books tend to cover a couple of weeks but the majority of this one covered one night. And boy, it was busy. This one also went into more of the history of the supernatural in this world, and the big overarching storyline. I liked it a lot, but I haven't bought the next book yet. It isn't high enough on my priorities to finish this series when I have so many other books to read right now, but I'll get to it eventually. -the answers felt close, as if I could read them in a book if only I could find the right page. So I finally finished this series! I'll be doing a complete series review (and giveaway) soon but as for Grave Secret, I was pleased. But maybe not thrilled. Charlaine Harris never leaves a loose end which I appreciate. However, in tying them all up this managed to feel a little rushed. Kind of like when a TV show finds out it's not getting a next season and the writers cram everything into the last couple episodes. We got a conclusion to everything brought up over the past three books but it was very similar to a previous story in the Harper Connelly series. The only surprise was that Harris would re-use it. 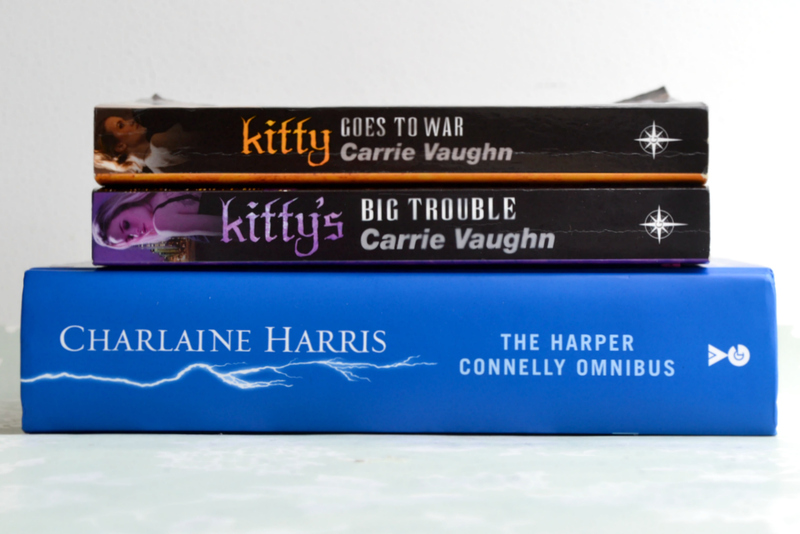 I love Charlaine Harris and her writing, but I'm glad to have finally finished this series as it really wasn't my favourite of hers. I'm looking forward to starting a different of her series ASAP.